Cloud computing has dominated the business world this year, and the trend will only continue into 2018. 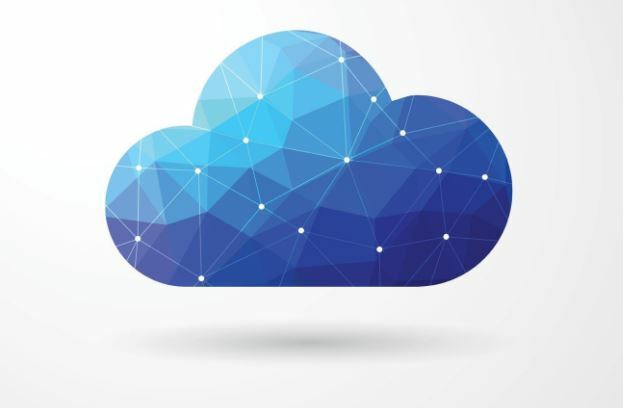 Thanks to the many benefits cloud computing provides, private cloud solutions, cloud data centers, platforms, and infrastructure as a service has come into its own. Startups and small and medium enterprises have been quick to take advantage of this. But as the year winds down, companies are starting to turn their thoughts on how they can further take advantage of cloud technology next year. To that end, here are cloud trends to watch out for in 2018.
business transactions and communications became ubiquitous. The IoT is expected to remain strong next year, but the continued development of cloud computing and real-time data analytics will also see the Internet of Everything (IoE) pushed to the forefront. Since the IoE depends on data processes, machine to machine communications and people’s own interaction with their environment, improvements in cloud computing could result in significant developments with IoE as the complex system tries to simplify all interactions. This means that people will enjoy more intelligent interactions with devices connected to a network. It will also pave the way for richer communications between people. One prime example is Google’s Pixel Buds. The ear piece’s capacity to recognize and translate around 40 languages in real-time will surely open doors to tourists and students. will increase. Cloud storage has made operations more flexible and efficient for a lot of enterprises. The flexibility of the system and the option to just pay for the storage space used also contributed to the necessity and demand for cloud containers. In fact, Microsoft, which ranks as one of the leading providers of cloud services, expects to see its cloud revenue go up 33 percent by the end of 2018. The rise in demand means that service providers will be utilizing more online data centers that are equipped with higher storage capabilities. According to a Cisco survey, the total data stored in these centers in 2017 are at 370 exabytes (EB), with global storage capacity expected to hit 600 EB. The demand for cloud storage is expected to reach new heights next year, with insiders estimating that storage capacity would reach as much as 1.1 zettabytes (ZB). That’s about double the space available this year. The expectation is that the increased demand for containers would make it possible for more real-world problems to be resolved efficiently and more securely. Businesses that use big data can use expanded storage space to store data, conduct analytics and derive valuable insights into areas like key financial investments, human systems, and customer behavior. Meanwhile, small business can benefit from the fact that increased storage could mean deeply customized or cheaper storage options. The two main factors affecting cloud computing these days are artificial intelligence (AI) and machine learning (ML). As a matter of fact, the four main tech companies – Amazon Web Services, Google, IBM, and Microsoft – are already taking advantage of both to provide cloud services geared to increase company growth. IBM introduced an AI-powered cloud-based system that facilitates decision-making in 2016. Meanwhile, Microsoft’s Azure can now deliver about 20 cognitive cloud services. The proliferation of services that run on AI will definitely push for increased cloud storage just to meet the need for shorter data processing, analysis and feedback. As companies brace themselves to say goodbye to 2017, business owners are also looking forward to 2018 and what it will bring. In this light, knowing the upcoming trends in cloud computing will help companies achieve their business goals.